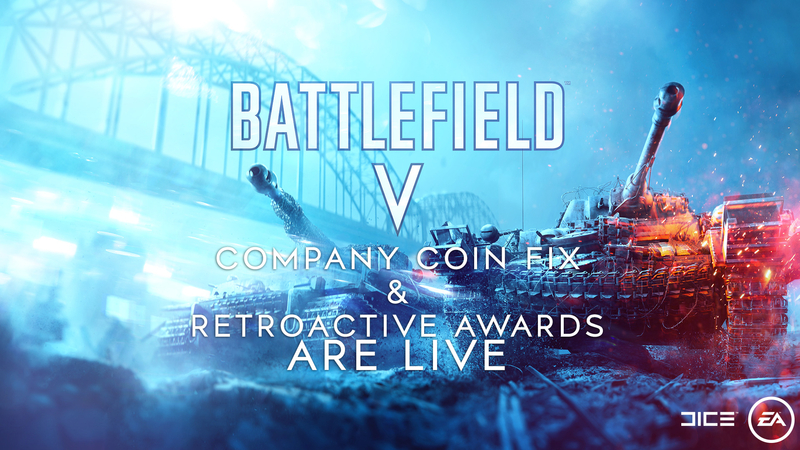 Company Coin Fix & Retroactive Awards Are Live! The outstanding Company Coin accrual issue has been fixed and Rank 50 players affected by the bug should expect a one-time, retroactive allotment of Company Coin in the Armory. We also have an update for you on the ongoing UI problem that incorrectly displays earned Company Coin on the End of Round screen. This week, we completed an update to our back-end that allows all players who have reached Rank 50 in Battlefield V to continue earning Company Coin. Players can once again acquire new items in the Armory and are no longer starved of the Company Coin they should be accruing at max rank. Today, we’re also happy to announce that every player that missed out on Company Coin after reaching Rank 50 because of the back-end bug will start receiving a proportionate level of retroactive Company Coins. The amount a player gets will be tallied based upon the Score amount a player has accumulated after reaching max Rank 50 between the first Company Coin retroactive award several weeks ago and the time that the issue was fixed this week. The retroactive Company Coin will automatically be added to affected players’ inventory, seen at the top right-hand corner of the in-game menu. 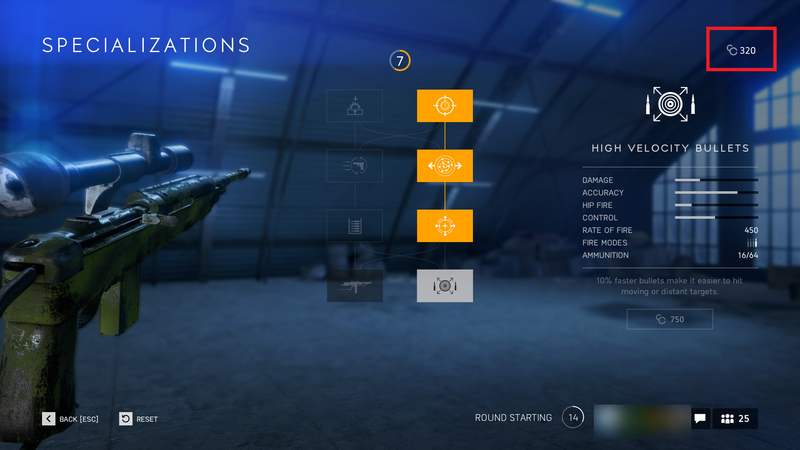 Currently, the End of Round screen – the menu that appears after a match ends – does not display the correct amount of earned Company Coin. Although the correct amount of earned Company Coin does still get added to a player’s inventory, we’re seeking a resolution to this UI issue. Please let us know if you are still experiencing issues tied to Company Coin accrual here. For anything else, keep an eye out for our upcoming overhaul to the Battlefield V Known Issues list. Thanks for your feedback and support during the Company Coin issue. We’ll continue to monitor and communicate fixes tied to the ongoing End of Round UI bug. The formula being used to calculate amount of retroactively awarded Company Coin uses accumulated Score, not XP. Updated above.